The Stampede Campground is owned and operated by the Williams Lake Stampede Association. The Stampede Association is a non-profit organization operated by committed and passionate volunteers. Our Campground staff lives on site during the season, and is happy to help you with your stay. 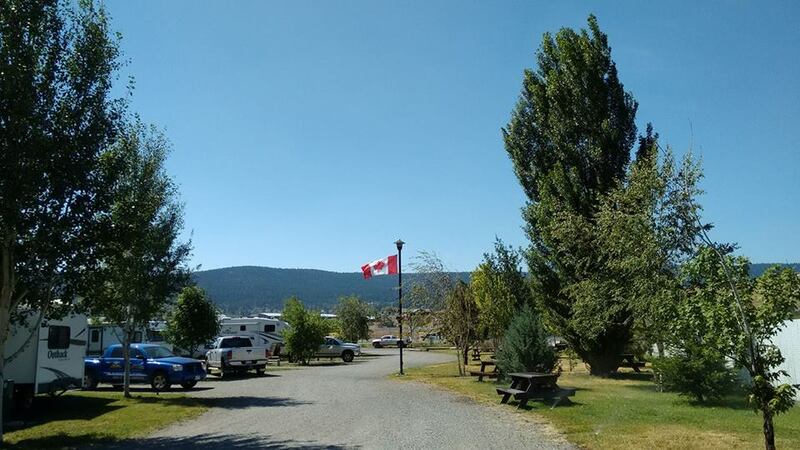 The Williams Lake Stampede Campground is now open for the season! Our Campground Hosts, Mark and Della are on site and ready to assist you with your stay! Horse trailers and horses are not permitted to park and stay in the public campground area. Note: A minimum three night stay is required for a reservation during our famous Stampede weekend. Please take a moment to view & download our Guest Campground Rules & Reservation Policy. Rates include free High Speed Internet Access. Payment options include Visa, Mastercard, debit and cash. Receipts can be provided upon request. Monthly rates are available upon request, to inquire contact our office at 1-250-398-6718. Or by online form below. NOTE: This is a reservation request form, not a confirmed reservation. We will be in touch with you, at which time a Visa or MasterCard will be required to complete your reservation. THANK YOU FOR YOUR REQUEST - OUR OFFICE WILL BE IN TOUCH WITH YOU SOON TO COLLECT PAYMENT INFORMATION AND CONFIRMATION DETAILS!